Bazaar For All Season: Summer Edition! Summer time is just around the corner! 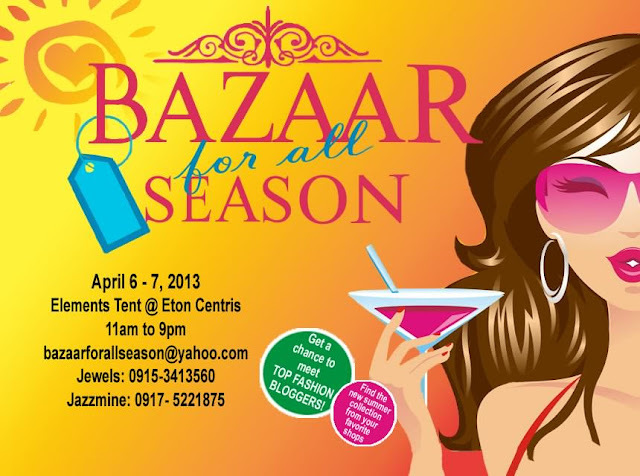 with that, there will be a summer bazaar for you to fill up your closets with hot new trends! Be a part of this event in bringing summer experience to our shoppers Come and join the Bazaar For All Season the second time around On April 6 and 7 which will be held at the Elements Tent, Eton Centris.